WE ARE TEMPORARILY OUT OF STOCK! WE WILL BE PLACING AN ORDER WITH THE MANUFACTURER SHORTLY! 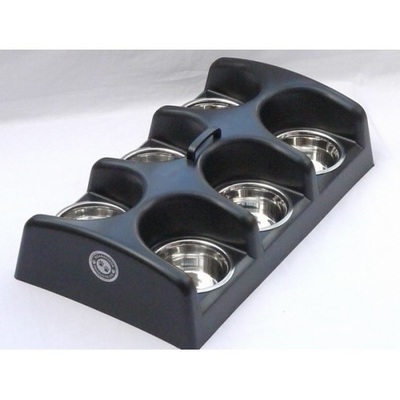 THE MULTIPLE BOWL CARRIER + FEEDER! 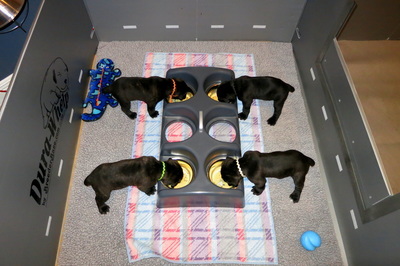 Weanafeeda is a segregated litter feeding system for puppies at the weaning stage of growth. 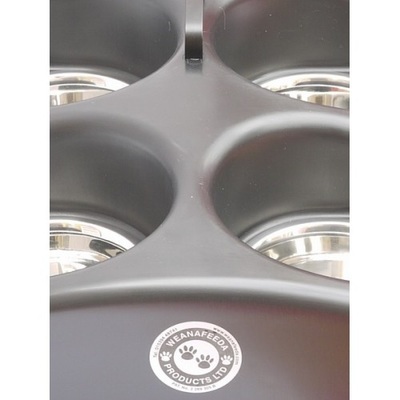 There are sizes suitable for all breeds of puppies. Weanafeeda was invented and patented during the '90's and has been sold globally since 1998 by Weanafeeda Products Ltd, a British company with limited direct distribution in the US. Developed by Tony and Jen Sansom, a Cumbrian veterinarian and his wife, along with advice from top breeders, Weanafeeda is innovatively designed to solve the problems associated with the feeding of a litter of pups at the weaning stage. 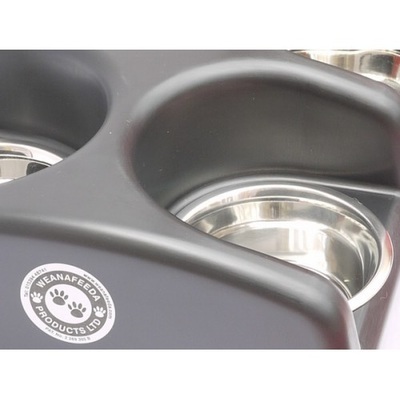 There is no other feeder for pups designed specifically for puppies that allows them to feed individually in a communal situation. Weanafeeda is available in 5 different sizes to suit all breeds: the Mini 4, Maxi 4, Mini 6, Maxi 6 and Micro 3, all of which come complete with quality stainless steel bowls. However, because Costa Bel Cane Corso is heavily involved in the working dog community, we have chosen to only stock the Weanafeeda Maxi 6. Weanafeeda allows one person to carry a number of feeding bowls all at once in one hand. 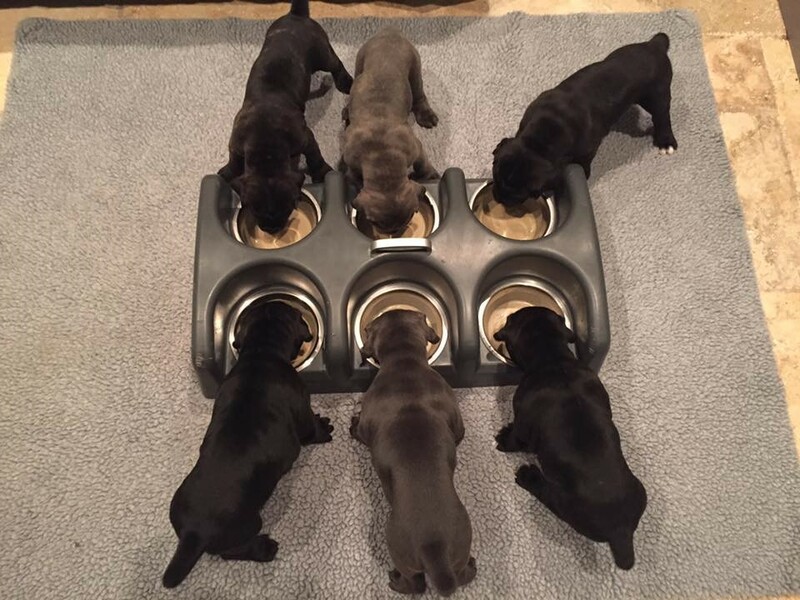 Weanafeeda’s unique segregating stalls ensure that each pup gets its fair share of food resulting in an even growth rate throughout the whole litter. Weanafeeda is lightweight, completely stable and non-chewable. 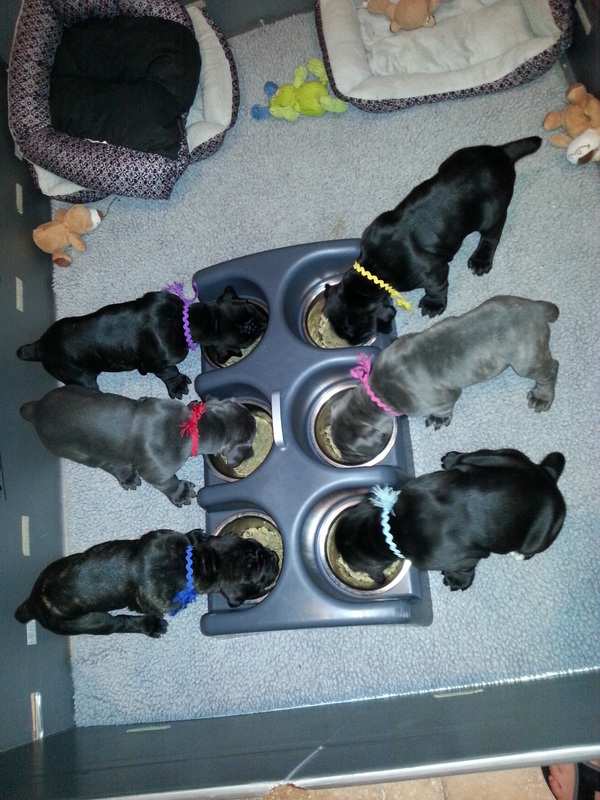 Weanafeeda enables individual pups to be given medication or supplements. 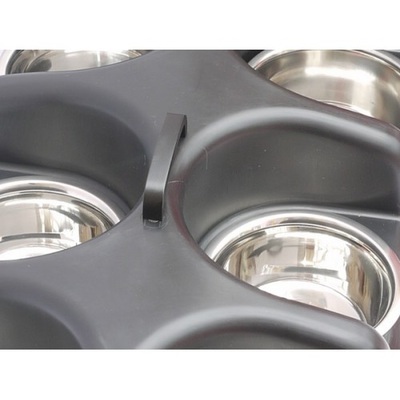 Weanafeeda prevents spillage and is easy to clean so it’s always ready for the next feeding. Weanafeeda is a training aid. Pups associate it with food and feeding times. 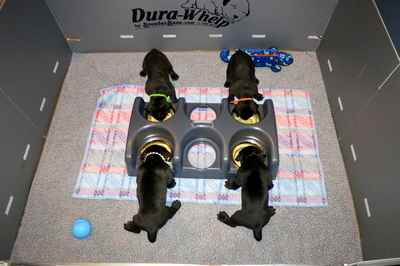 It ensures pups are used to feeding individually when they go to their new homes. Weanafeeda… Use it to believe it! It’s logical, functional and simply effective! 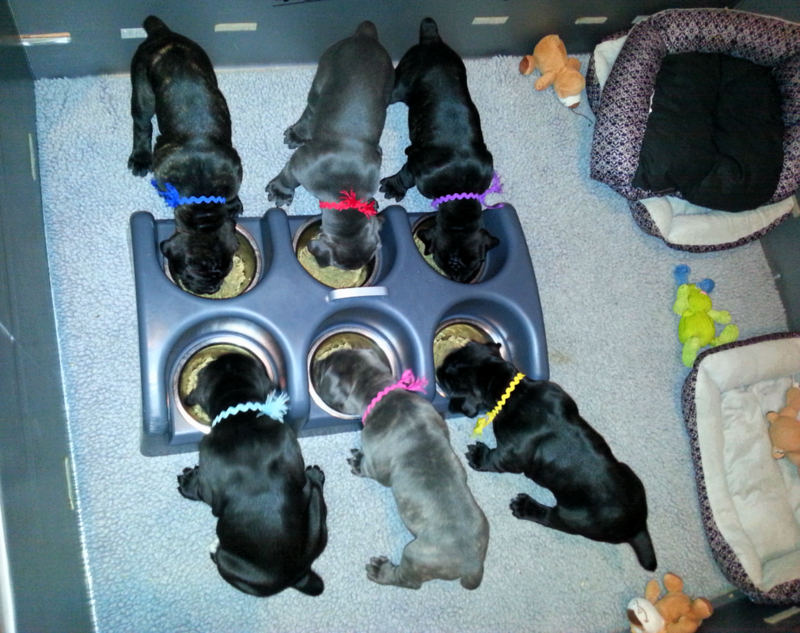 Costa Bel Cane Corso offers the in-stock Weanafeeda Maxi 6 for $95.00 plus the cost of shipping via USPS Priority Mail (2-3 business days) or USPS Parcel Post (5-7 business days), both determined by zip code. The average cost of shipping within the continental United States via USPS Parcel Post is $25-$45 and via USPS Priority Mail is $70-$100. To place an order for a Weanafeeda Maxi 6, please contact us and provide your PayPal email, quantity of feeders desired, shipping zip code and shipping service preference between USPS Priority Mail or USPS Parcel Post and a PayPal invoice will promptly be sent to you. 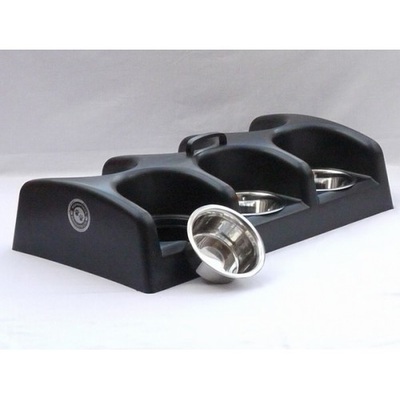 We only ship within the US and Canada and are able to fit three feeders in one box for substantial shipping savings. 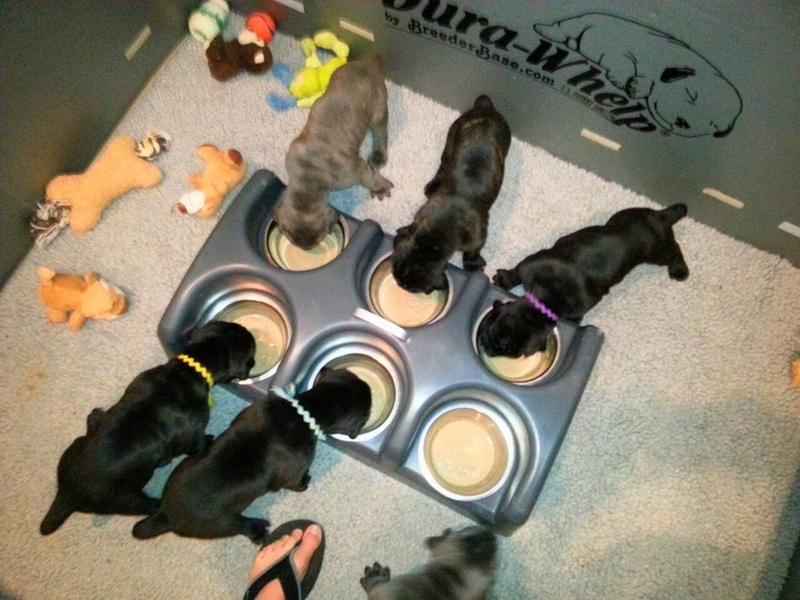 Below are short video clips and photos of our litters using the Weanafeeda Maxi 6. There is also a slideshow at the bottom of our happy customers using the Weanafeeda Maxi 6 with their puppies. Costa Bel Cane Corso would like to thank all of its clients for their support! Most have been listed below! Flat-Coated Retriever Society of America, Inc.